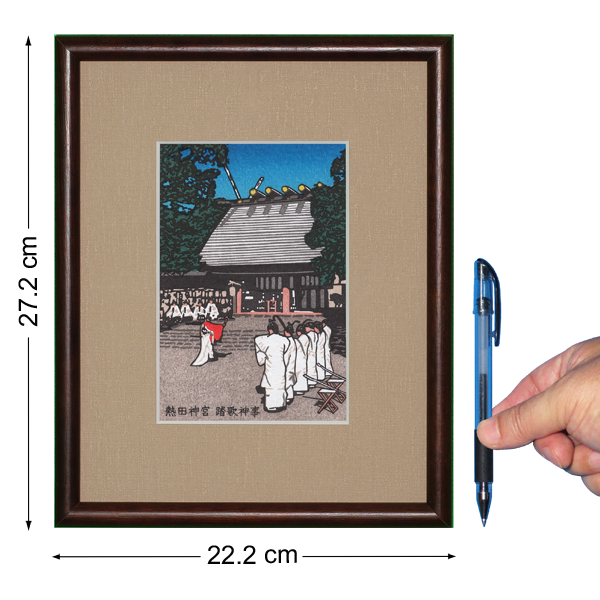 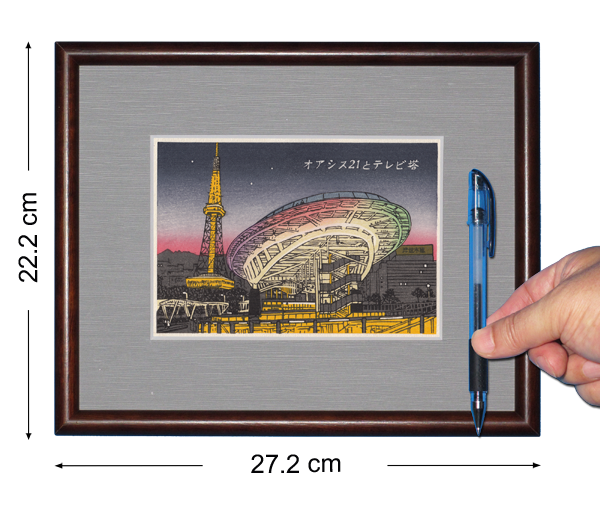 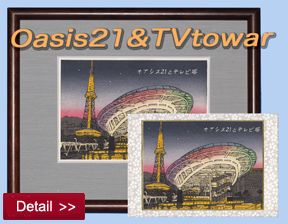 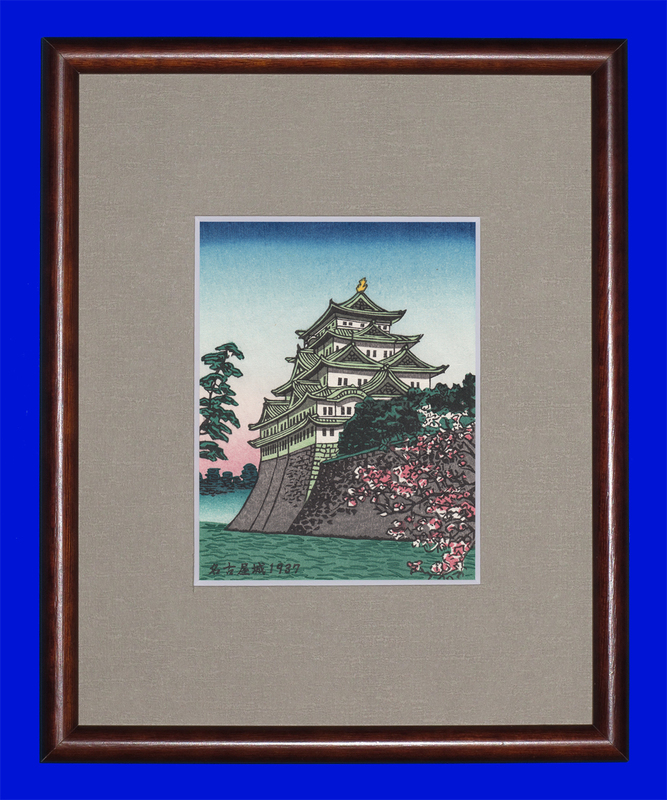 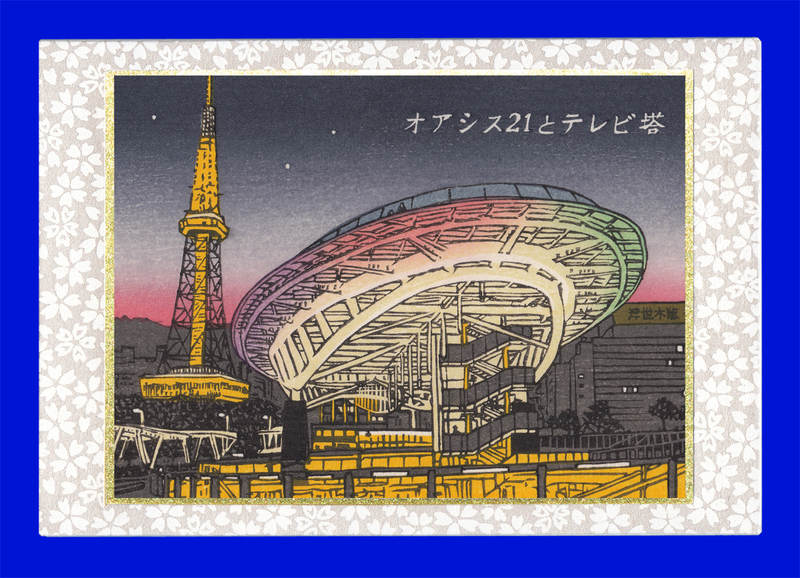 Traditional and high quality woodcut prints (Ukiyo-e) in small size! 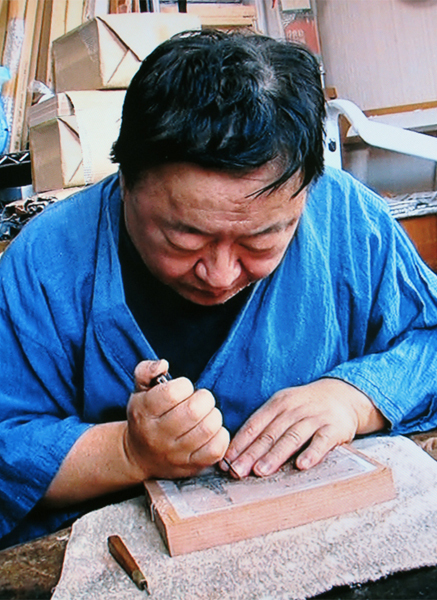 Even though it is small, it is made in accordance with traditional techniques that continue from ukiyo-e, with sculptors and slasher's division of labor. 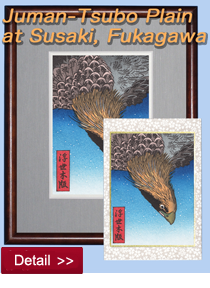 The carving is carved up to an extremely delicate level equivalent to Ukiyoe. 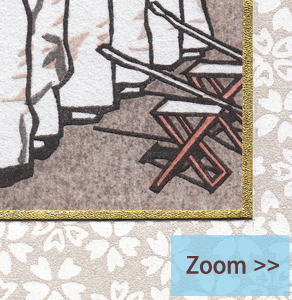 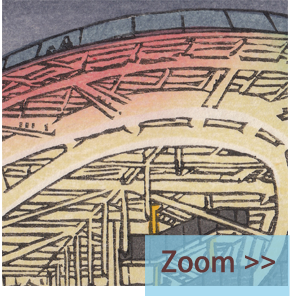 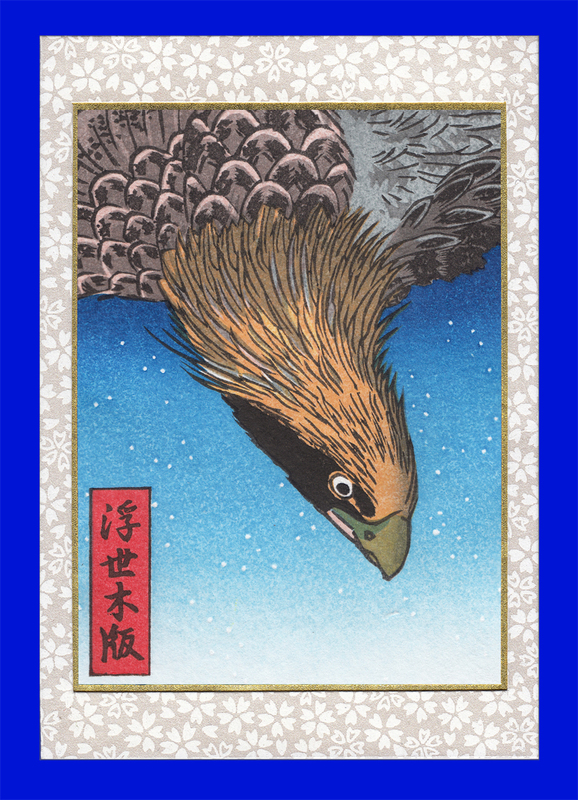 As for the sliding, we perform multicolor rubbing similar to Ukiyo-e, we finish by 10-15 times overlapping rail. 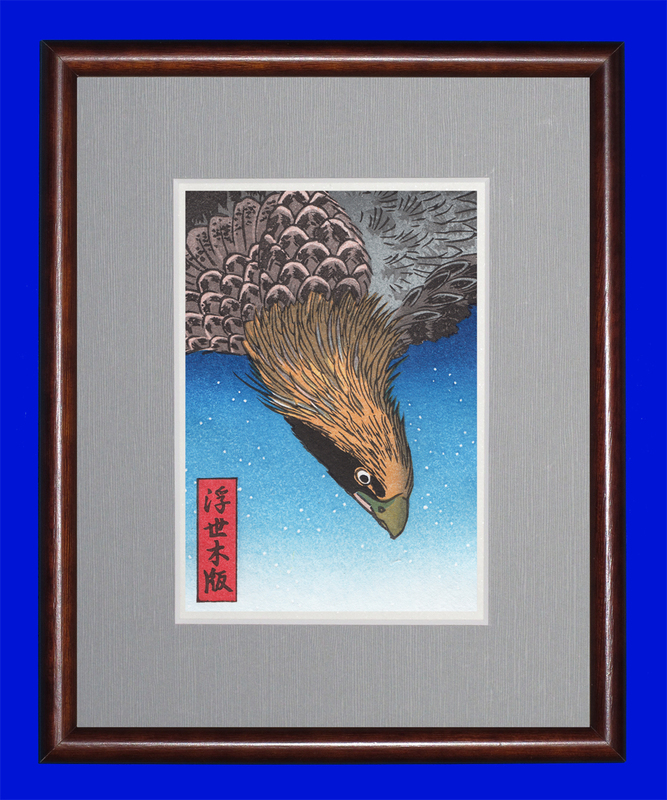 It is a completely handcrafted traditional woodcut print that does not allow any compromise by craftsmen with advanced traditional techniques. 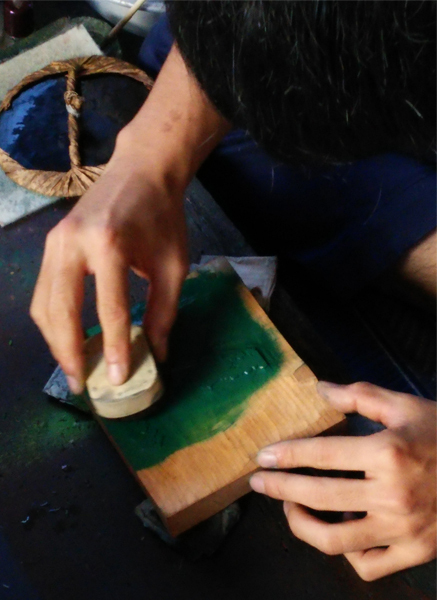 In addition, a special type of Washi, a handmade luxury Echizen Japanese paper was used, a "Raw Fiction Service" to maximize the beauty of woodcut prints. 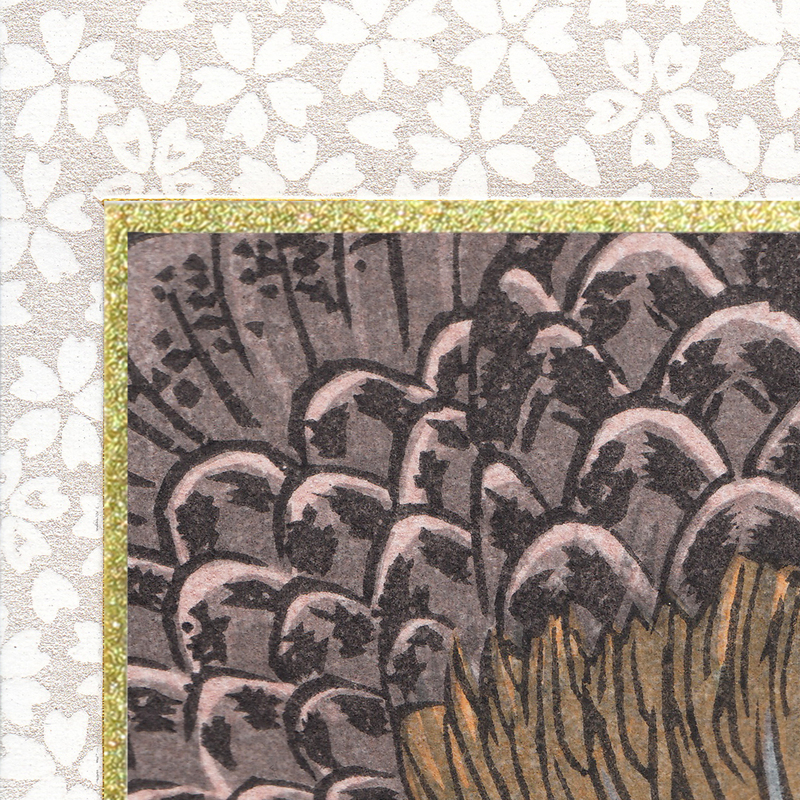 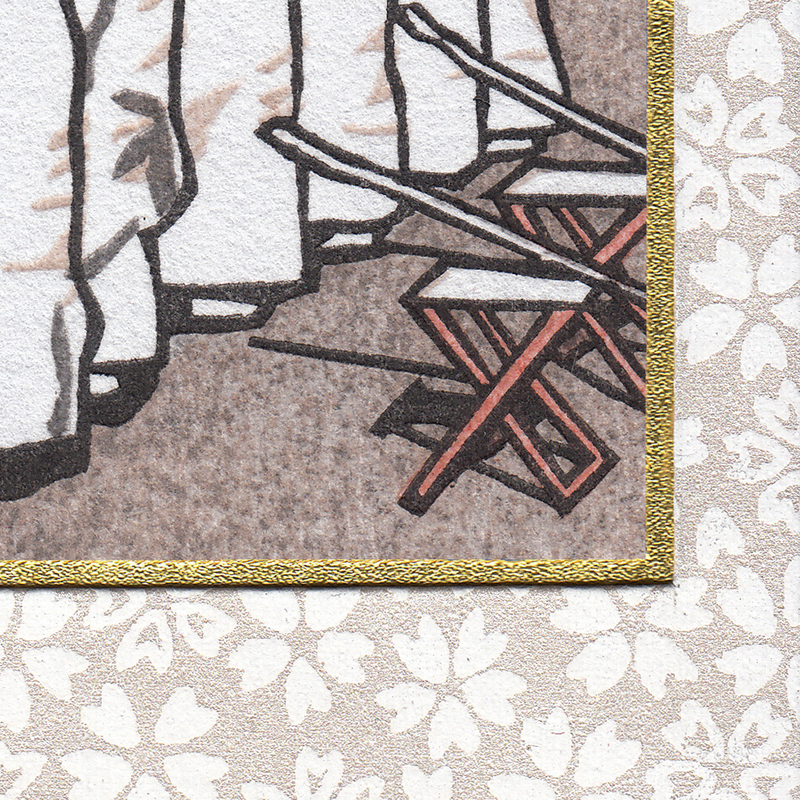 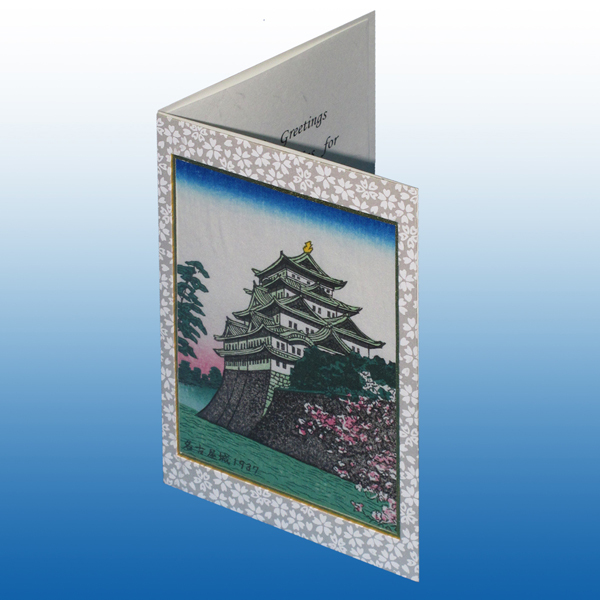 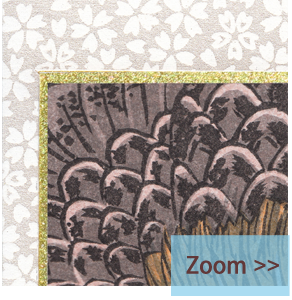 The exterior of the greeting card version is a handmade item of Ukiyo-wooden original. 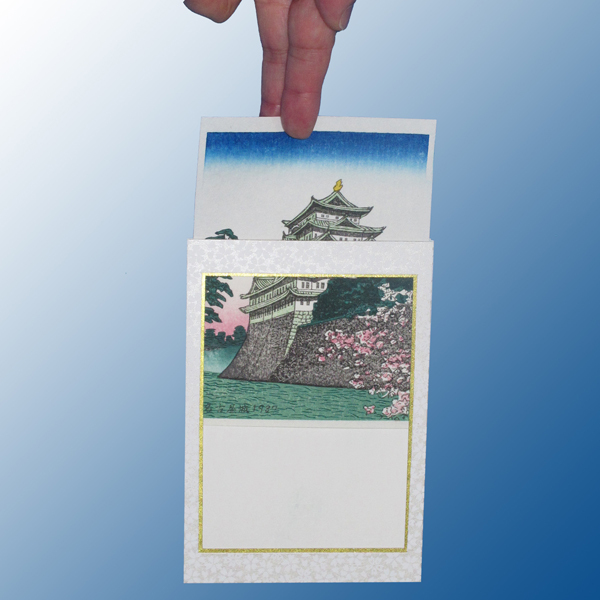 It has a two-page spread structure, so it is possible to take out woodcut print. 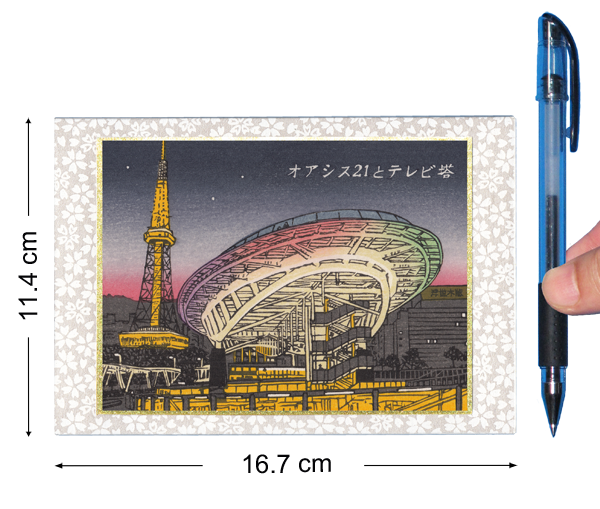 Also an envelope is included, but even with all this additional options, the total weight is just 23g. 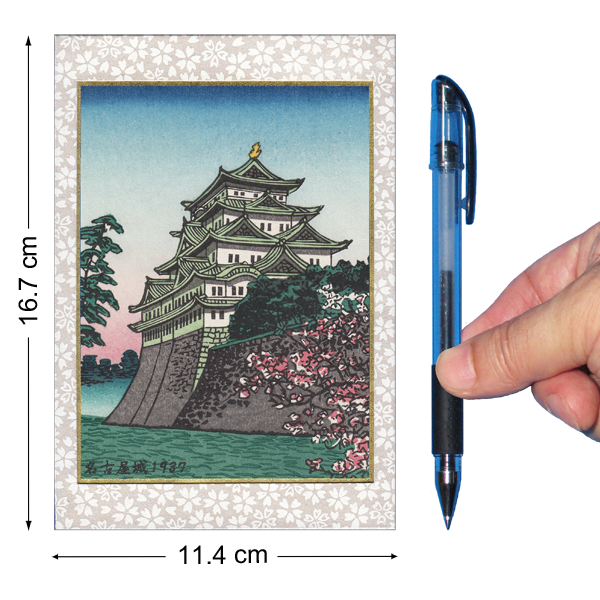 The outer dimensions of the envelope is 12 cm × 17.5 cm, and when sending it domestic, it fits the standard letter size. 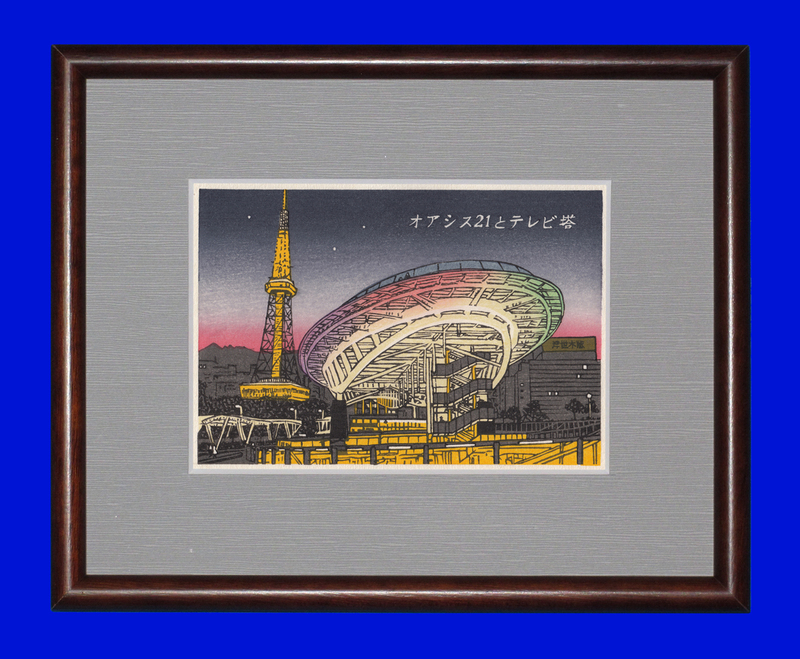 The frame is a wooden square type. 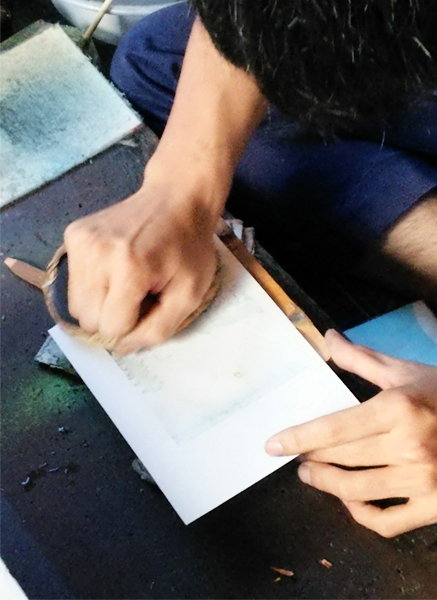 Mat adopts a looking color according to each work. 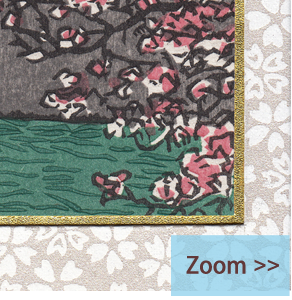 In addition, the mat is cut to size according to the work, and oblique cutting that makes it look nice is given. 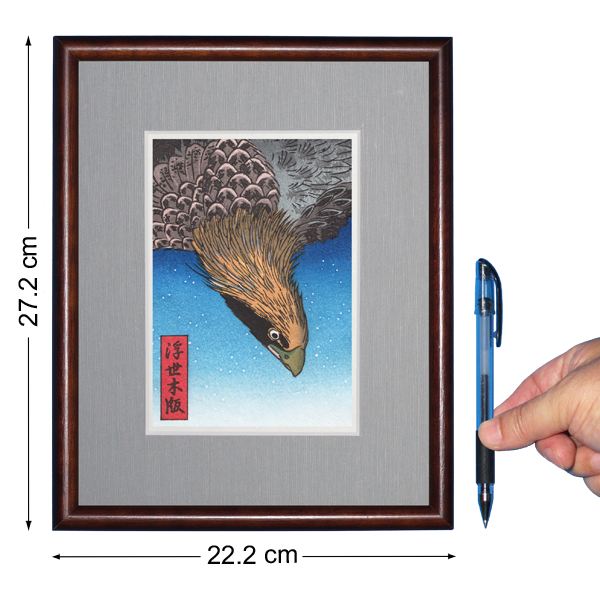 Although an acrylic plate for full-surface protection is also included, in order to enjoy the texture of wood prints, we will ship it without placing it on the forefront at the time of shipment at the time of shipment. 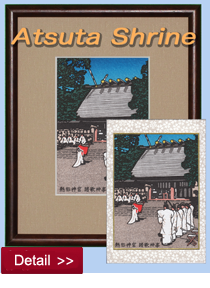 The Atsuta Shrine is famous shrine dedicated to the Kusanagi sword (sword of the rustling) which is one of three kinds of sacred treasure. 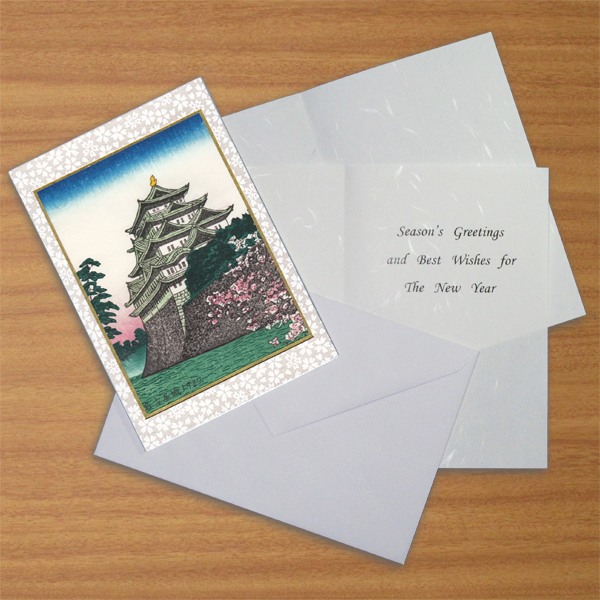 In the beginning of year, I designed the "Ryugaku Shinto" which is done by calming the spirit of the earth and wishing for mischief and invitation. 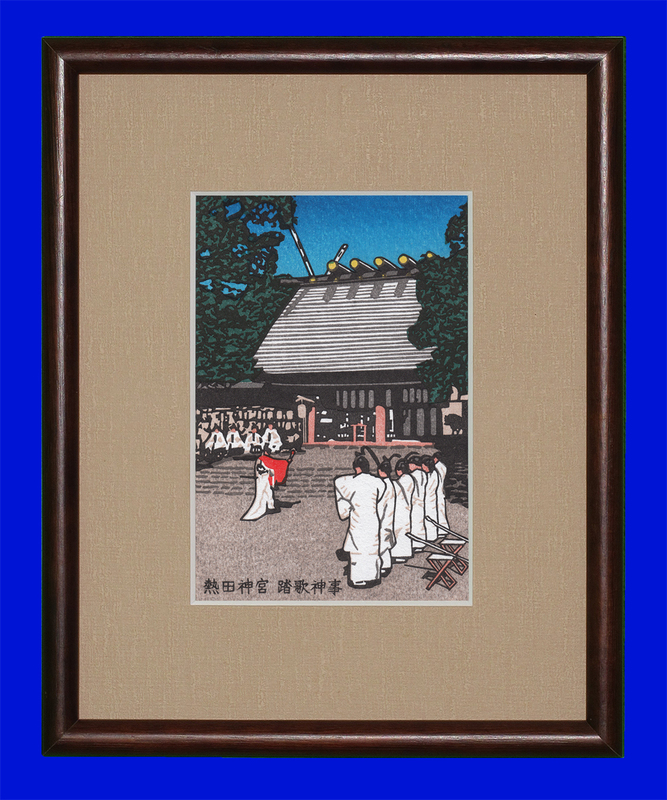 It is an original work of Ukiyo woodcut, which trimmed the pictures of ryugaku priests and designed them into woodcut prints. 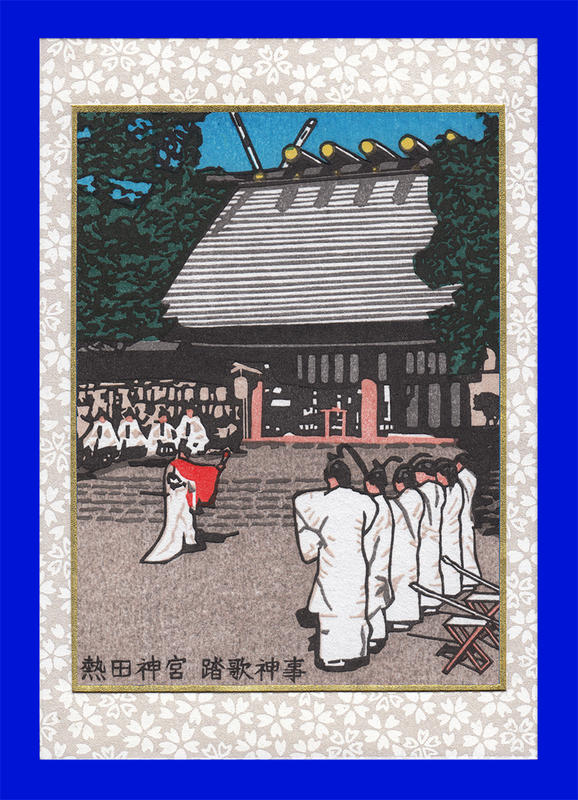 It is an innovative work that pioneered a new process of making traditional woodcut prints based on photographs. 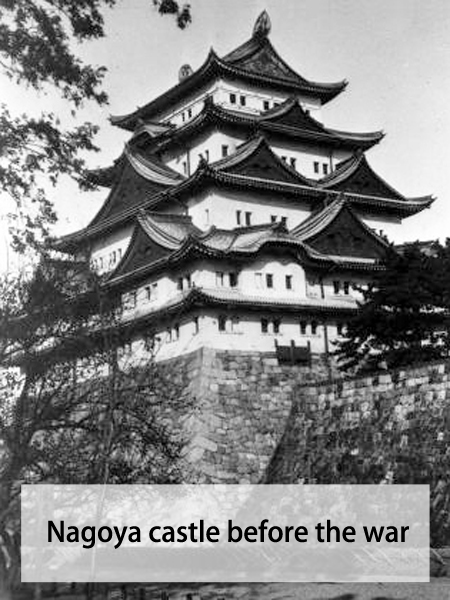 Nagoya castle was destroyed at the time of World War II and rebuilt in 1959 after the war. 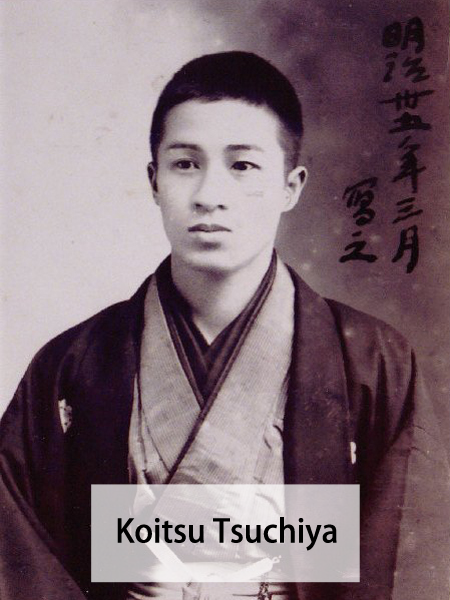 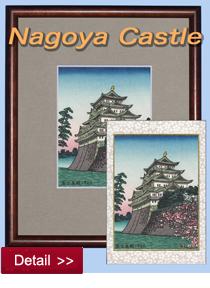 In 1937 before the war, the painter: Tsuchiya Mitsu (1870-1949) was drawing a woodcut print of Nagoya Castle. 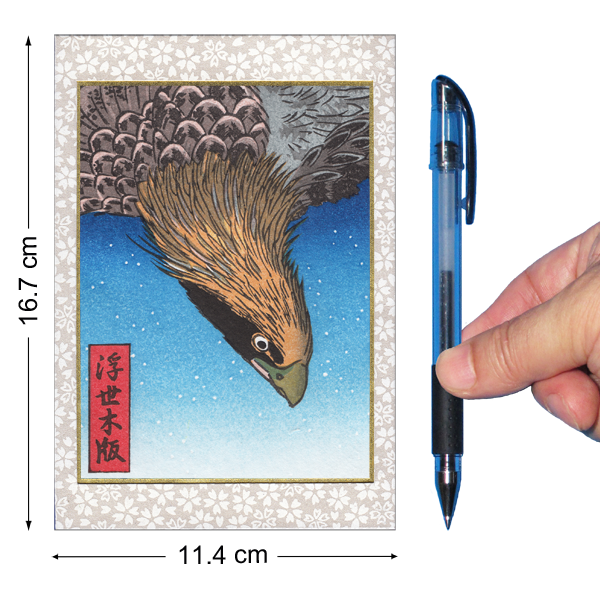 Based on his drawing, some corrections were added, and the original design of Ukiyo woodcut was done again. 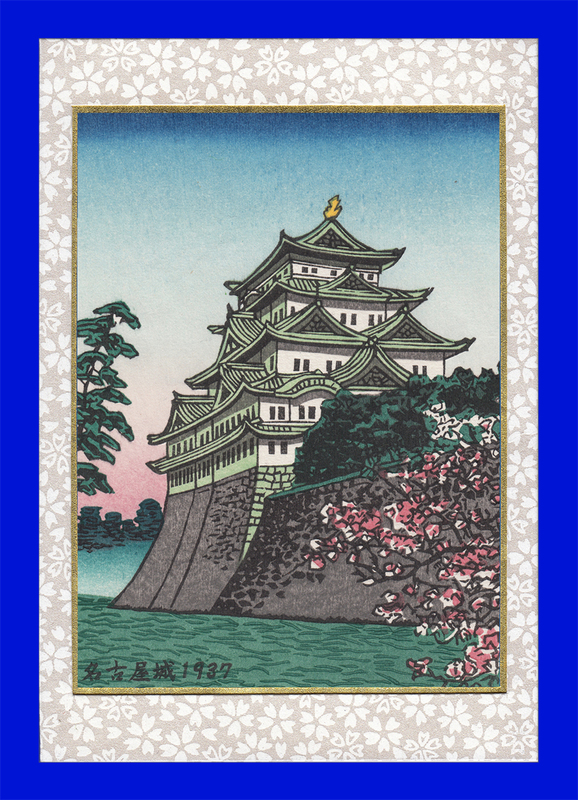 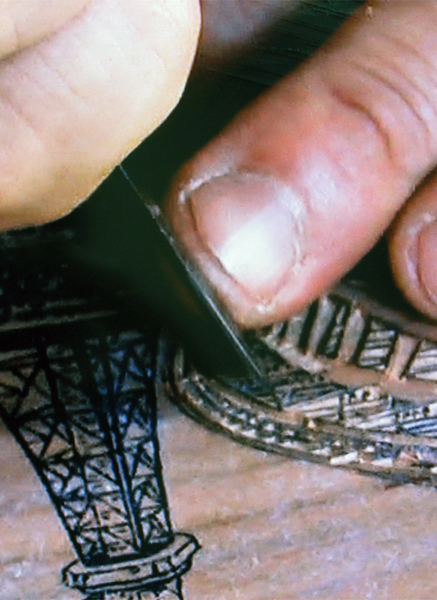 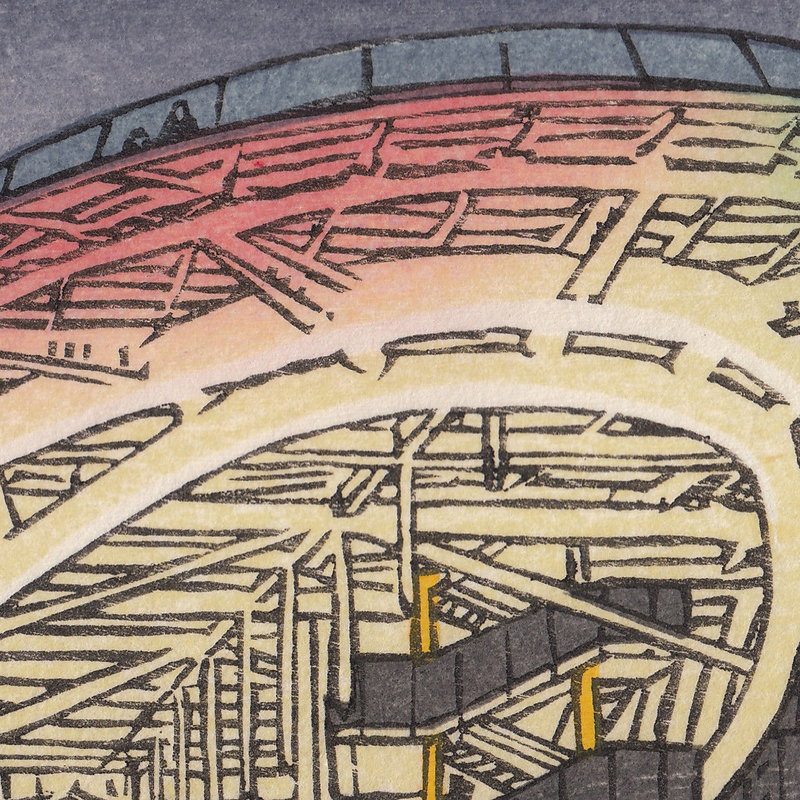 This work is the reprinted Nagoya castle as a woodcut print before it burned. 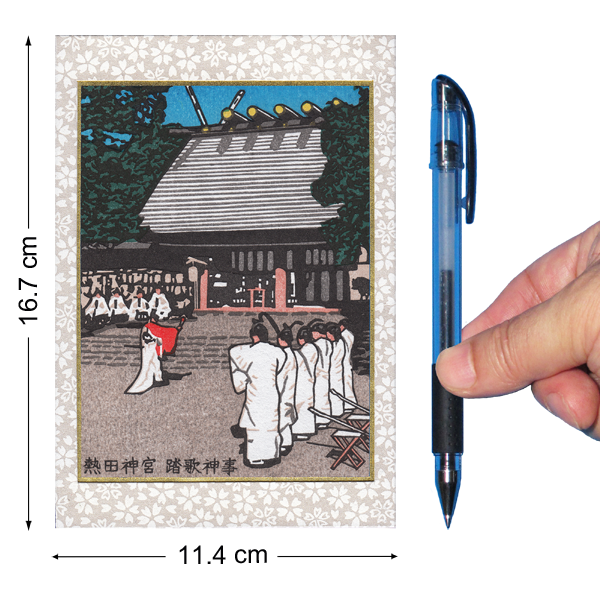 The original picture is the famous "Juman-Tsubo Plain at Susaki, Fukagawa" of Utagawa Hiroshige. 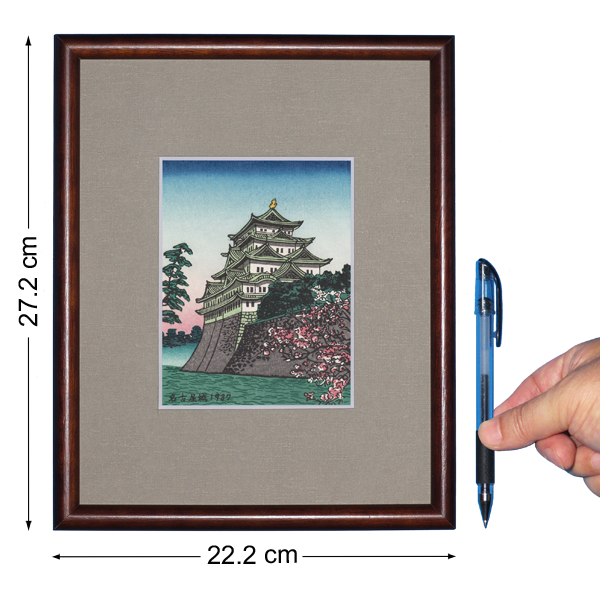 We trimmed part of it in equal magnification, and redesigned it with some correction. 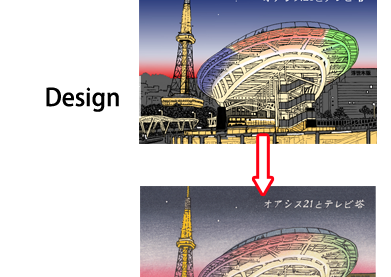 By making trimming and correction, I made it a more modern image. 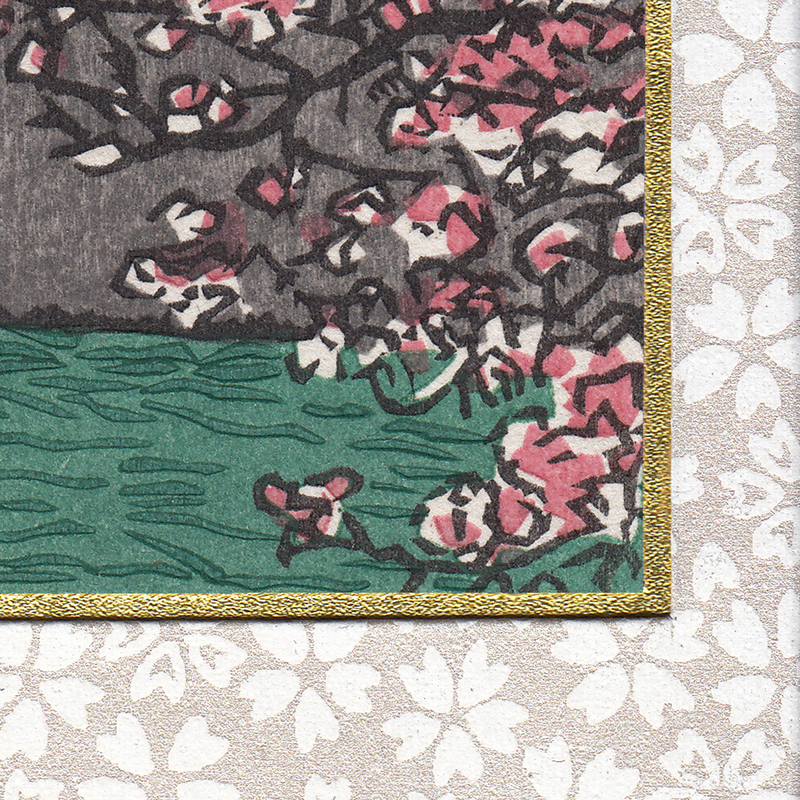 This design also includes a new concept of cutting out a part of Ukiyoe prints and offering it at a reasonable price.